LaserSharp FlexPak Services, LLC - LaserSharp FlexPak Services, LLC offers laser perforating and scoring services for a variety of flexible packaging applications..
LaserSharp FlexPak Services, LLC offers laser perforating and scoring services for a variety of flexible packaging applications. LaserSharp FlexPak Services specializes in contract laser production services for the flexible packaging industry. We are a premier toll converter, dedicated to developing innovative laser solutions for the design, testing, and production of easy open and breathable flexible packaging. Our goal is to provide our customers with complete technical support, from prototype development to full-scale production, resulting in reduced development costs and accelerated time to market. We were founded in 2008 as a sister company to LasX Industries. Since 1998, LasX has designed and manufactured industry leading LaserSharp® equipment that uses advanced laser digital converting technology. This digital processing method is ideal for converting flexible films because it eliminates the need for metal tooling, resulting in more accurate features and increased turnaround. We use five in- house roll-fed LaserSharp® production systems to offer this technology on a toll converting basis to the flexible packaging industry. 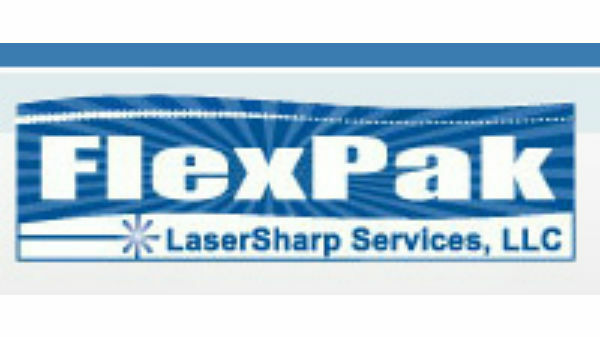 LaserSharp FlexPak Services prides itself on upholding the highest standards of production to our customers. By using advanced LaserSharp® technology, we are able to meet your laser scoring and perforating needs with extreme precision. LaserSharp® systems offer non-contact processing, resulting in precise, controlled scoring and perforating depths at high production speeds to increase product shelf life and consumer satisfaction. Our staff of skilled engineers focus on finding the precise laser scoring or perforating process that best fit your packaging material or application. We work closely with our customers to achieve superior easy open and breathable features using digital converting, a method that outperforms conventional mechanical processes. Our “Can-Do” attitude and ISO 9001:2008 certification reflect this commitment to quality.